, I stand a slim 5'11, 165 pounds. That's 55 pounds lighter than my all time high of 220. I'm strong and lithe, capable of doing some yoga asanas that leave many gap-jawed. I run miles everyday with nearly endless energy, my memory has improved four-fold, and I could have imagined none of this when I was 17, overweight, depressed, and convinced that genetics had cursed me. The key to success in health, whether your goal is an escape from pain and disease, finding more energy, or dropping a few pounds, is simply to stop harming your body. When you're eating a well-managed raw food diet and living a healthy lifestyle, the pounds will fall off rapidly. Whether you're looking to drop ten pounds or 100, the first step is to take responsibility for your condition. It's nice to be able to blame fate, but doing so won't change your situation. 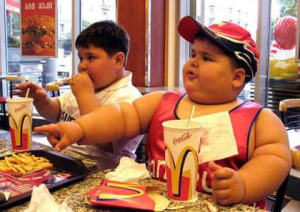 If you are "born into a fat family" with "fat genes", you can give yourself permission to do nothing about being overweight because, after all, there's no going against genetics. You might as well send up the white flag and seek solace in a bag of potato chips. I indulged in this line of self pity for years. My older brother was thin and handsome. He could eat like a pig and not put on a pound. I was overweight by the time I was in fourth grade and the situation only got worse as I got older. Though metabolic rate varies from person to person, it's up to you to take responsibility and live a healthy life. Some can pollute their body and remain thin, but they will suffer just as much in the long run when disease catches up to them. It pays to eat better no matter what your body looks like. With raw food weight loss and a diet centered around delicious sweet fruit, you can trim your waistline and become the happy, energetic, disease-free person that you've always wanted to be, regardless of your genes. Weight loss is actually really simple, but poor diets and habits make it harder than it needs to be. Whenever you burn more calories though living than you take in, you'll lose fat. It's as simple as that. There are 3,500 calories in a pound of fat. If your goal is to lose a pound of fat a week, which is a great rate to lose at, you can either burn an extra 500 calories a day, eat 500 calories less a day, or meet somewhere in the middle with perhaps 250 extra calories burnt off and and 250 less calories taken in. On a raw food weight loss diet the pounds are likely to fly off of you, especially when you first begin. The great thing about raw food is that you get to eat a ton. It's just that you're eating a ton of healthy food instead of a ton of junk food. You'll probably be so satiated by your meals that you'll lose your desire to snack. You'll be eating a considerably larger volume of food to meet yourcaloric requirements, and your body responds to this by feeling satisfied. The second is that the bulk of your calories come from fruit, which are rich in simple sugars. Your blood sugar rises almost immediately when you eat fruit, which tells the brain that you're satisfied. The traditional meal of steak and potatoes lacks these simple sugars, which is why, no matter how much you stuff yourself, you'll find yourself snacking after dinner, just looking for a little something else. Eating sugar-rich desserts after a meal is is just a round-about way of satisfying this need, only with unhealthy foods. The great thing about raw food weight loss is that you're shifting the satisfying "dessert" of sugar-rich fruits to the main dish of every meal. You can eat a lot, not feel guilty, and be filled with energy. So much toxic matter is mixed into our food that the body has to struggle to eliminate it. The arch example of this is common table salt. You know that if you drink enough salt water from the ocean you can die of dehydration. Think about that for a second. You're drinking water, and you're dying of dehdration. We tend to think of the table salt we put on food as a totally different thing, but is it? Iif you put it on a slug, the creature will melt. You know that salt in a open wound burns. So why would you ever want to put it in your food? Want to Adopt A Raw Diet And Shed Pounds Quick? Our bodies must struggle to segregate and then eliminate all the salt we shovel into it. It does this by surrounding toxic matter with water, thus making it mostly inert until the liver and kidneys can clean it out of the body. When that occurs, the water is released. Because a pint of water weighs a pound, water weight loss can lead to the rapid loss of quite a few pounds. To varying degrees, this sort of rapid reducion is common for everyone attempting raw food weight loss. If a very obese person starts eating a raw food diet and living healthfully, it's not unusual to see them shed 25 pounds of water weight in the first two weeks. With no more toxic matter coming in, the body finally has time to deal with the backlog of work and eliminate the waste material as well as the water. After this initial surge, most or all of the weight being lost should be fat. Raw food weight loss is not hard to understand or achieve. 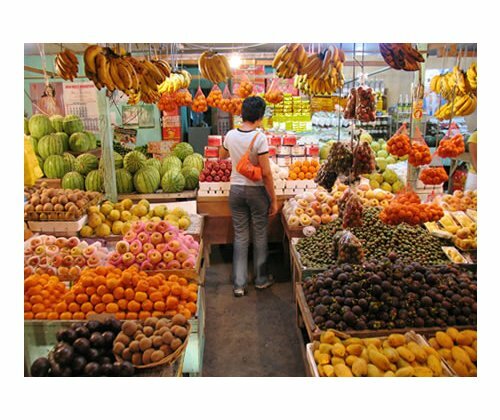 You'll be getting your calories from raw fruits and vegetables. For a detailed overview of the particulars of the diet, read up here. You'll also want to make modifications to your lifestyle. Most people struggle to eat enough calories when they first start off on the diet, so overeating will be a problem for few. Keeping track of calories is quite easy, though. There is no artifice in a banana or apple. You can easily figure out how many calories are in each one and then just multiple that by how many you've had. Compare this to a slice of frozen pizza, a dehydrated, denatured mix of goo that is almost impossible to gauge calorically. For those wishing to track calories and figure out exactly how much they should be eating for their desired pace of weight loss, check out my detailed explanation on how to set up an individual health plan. The key to overcoming cravings is to eat more fruit. Hungry? Craving Chinese food or pizza? Eat more fruit. Still hungry? Eat more fruit! The problem for most people is that they don't eat enough fruit and so they're hungry. When you're hungry, you're open to all kinds of cravings. So when craving something, just cram down a few more bananas. The sugars and bulk will satisfy you. Don't worry eating fewer meals or less meals doesn't really matter from a metabolic perspective, despite what you may have heard. However, there are also emotional cravings. Many use food as a numbing agent to deal with emotional grief. Fatty, dense foods are especially good at numbing because they need so much energy to digest. This strain is mostly absent when you're eating enough fruit. You're intake of fatty fruits and nuts will be minimal. On a raw food weight loss diet, there's nothing between you and reality. You're going to have to face that reality without drugging yourself into unconsciousness with food. If you say you're hungry, and I offer you some mangos, you'll take them if you're really hungry. If, on the other hand, you tell me that you're not hungry for mangos, but only want pizza, then you're having an emotional craving. You're not hungry at all. Satiating hunger and emotional needs are two separate issues. Once you start facing up to your emotions and stop hiding behind numbing food, your life is going to get a whole lot better. 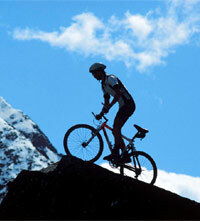 For more informatino about the mental and physical ways to overcome cravings, read this article. So adopt a raw food weight loss diet, shed pounds, find energy, and become the person you've always wanted to be. 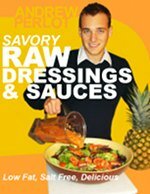 Learn more about eating a raw food diet. 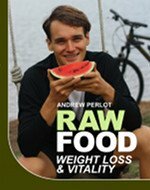 Get Andrew's comprehensive guide to adopting a raw food diet and losing weight fast, the Raw Food Weight Loss And Vitality book. Learn if a slow metabolism might be holding you back.